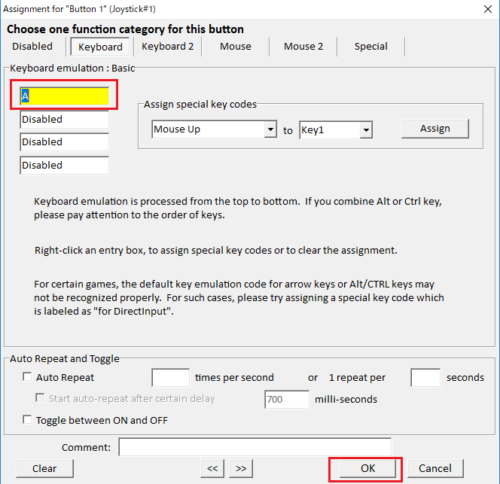 If you’re new to JoyToKey, please try to use it for a simple software like Notepad. In the right panel, double click “Button 1” row. Press ‘A’ key and it’ll be assigned to the button, and click “OK”. While the cursor is inside Notepad window, please press “Button 1” on your joystick. Then, ‘a’ character should appear in Notepad!